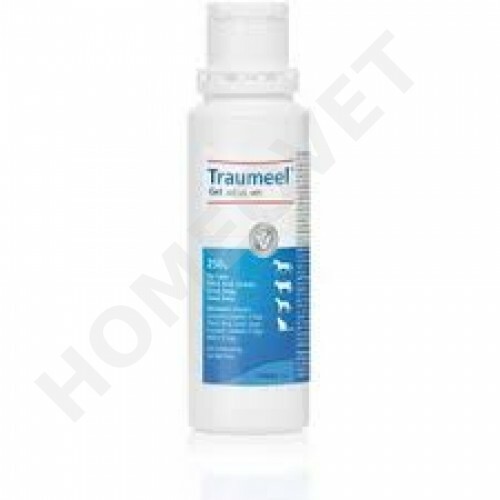 Traumeel Gel relieves musculoskeletal conditions – pain and inflammation in the back, neck, knee, foot, wrist and other joints. Inflammatory and degenerative processes accompanied by inflammations, especially at the connective and locomotorial system, e.g. arthritis, tendovaginitis, bursitis, galls of hockjoint. To relieve pain and inflammation in joints and muscles. Unless otherwise prescribed, the gel is massaged 2-3 times daily on the affected area of ​​the skin until the symptoms lessen. In case of heavy swelling, apply thickly and possibly cover with a bandage.